Meticulously researched in the water-logged Pacific Northwest, protective gear from ECase is guaranteed to safeguard all your electronic devices. Originally developed for kayakers who craved a practical way to document their passage through brackish water, ECase tests and re-tests their products so that they thrive, especially when you’re out of your element. Crafted in Seattle via radio frequency welding, ECase will protect your wireless devices even if they’re submerged in one meter of water for 30 minutes. If your device spends more time below the surface, it’s probably lost. Feel comfortable tossing around the IPad, even using it as a floating oeuvres platter, and bring home those dramatic images for all your supporters who unluckily sat at home while you were out exploring. Not only are Ecases ridiculously waterproof, but they are built with the environment in mind as well. The folks at Cascade Design, creators of ECase, know too well that their products must be sustainably engineered with non-toxic products, for how can you relish the outdoors while contributing to its demise? As a result, every ECase is PVC-free, thereby curbing the environmental impact of every plastic case. 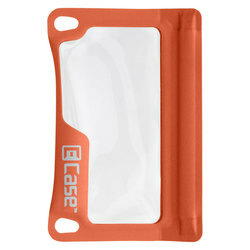 Additionally, given their detailed construction, Ecases are the kind of plastic that lasts forever even amid daily use. 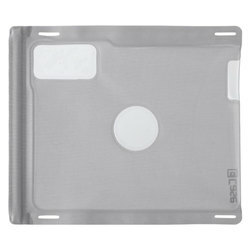 PVC-free cases are actually more flexible as well. Never content with their groundbreaking designs, ECase naturally adapts to the innovations in wireless technology. Compatible with I-phones, I-pads, I-pods, Kindles and Samsung tablets, we dare you to find a modern device which ECase cannot cover. Believe it or not, most of these Ecases facilitate access to headphone jacks and other exterior inputs, so don’t be afraid to rock the boat. Whether it’s gangsta rap or Beethoven’s sixth, conduct your own adventure regardless of the weather. Think of a violin solo sweeping across hunks of polar ice, or a sweet bass line commanding your way down ruthless terrain. While it may seem like magic, it’s actually just evidence of the meticulous construction and design inherent in every ECase. 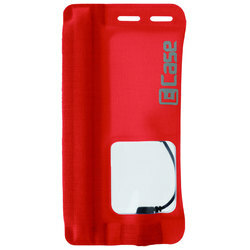 Finally, ECase offers a comprehensive warranty with every single one of its products. While they don’t anticipate dysfunction or defects, these guys are there 7 days a week to remedy whatever issue that might arise. While some guarantees are empty rhetoric, this promise embodies the spirit of the enterprise as a whole. ECase was founded with the average adventurer in mind, and it is in their mission to support their customers regardless of the circumstances.